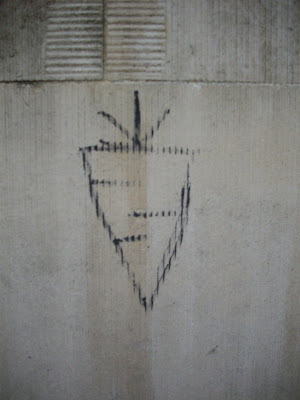 Another piece of street art, depicting a carrot, I suppose. 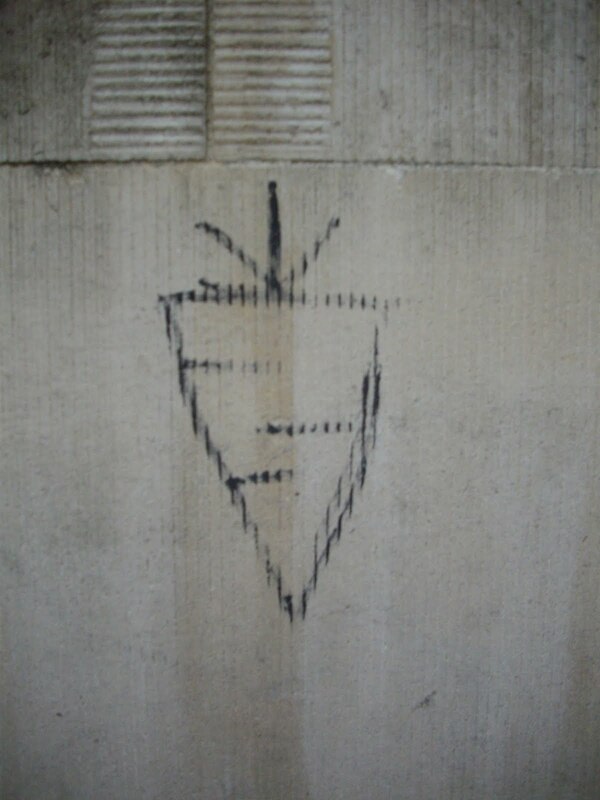 I found it drawn on a pretty sandstone wall in Oxford in February 2009. I don't believe charcoal on sandstone is a very common mix of materials, but it works. Please note the beautiful craft of the surface and masonry of the stone wall. Why the carrot is (or was) there, I have no idea, but I like it. By the way, I can recommend Oxford to all Romanticists out there. It's a place with a very strange mood, where you expect unusual things to happen at any moment. I never saw a White Rabbit with a watch and a waistcoat there, but I had the feeling that it was just around the corner most of the time.